The aromas and flavors of any given cannabis strain also depend on which terpenes predominate. Terpenes are one of the chief differentiators between different strains of cannabis (Journal of Natural Products, 2016). Terpenes are common throughout the plant world, and while cannabis can create about 1,000 of them, we’ve catalogued about 20,000 in nature. Some terpenes present in wine like linalool are also present in cannabis. More than 60 percent of cannabis buyers use smell to help make their purchase, and the terpenes is what they are smelling for. The word “terpene” comes from the root word “turpentine”, which refers to the pungent resin extracted from the terebinth tree found in the Mediterranean since ancient times. Why does cannabis make terpenes? For the last couple thousand years, humans have selected cannabis in part for its terpene production. Why should I care about terpenes? In addition to THC, CBD and the other cannabinoids, terpenes play an important part in the overall effects of cannabis and provide additional therapeutic effects aside from the desirable “high” or “stoned” feeling. Leading cannabis horticulture author Ed Rosenthal has said, “If THC is the engine, terpenes are the steering wheel.” They shape and control the high of THC. Interestingly, some terpenes are thought to act as an antidote to acute THC intoxication. The most promising terpenes to try if you get too high are those found in lemons, black pepper, pine nuts and calamus plant roots. The multitude of terpenes found in cannabis also provide countless flavor and aroma combinations. Each strain produces its own unique fusion of terps to provide its signature palette of sweet, sour, spicy, bitter, and/or savory aromas and flavors. What medical effects do the most common terpenes in cannabis have? Lab, cell, animal and scant human trials have yielded a lot of data about what terpenes might do. Alpha-pinene is known for its anti-inflammatory, anti-bacterial and memory-enhancing effects. Limonene can act as a stimulant and may help treat depression, it also has been found to cause breast cancer cells to commit suicide, as well as help control stress, and gastric reflux. (Russo, 2011). Linalool, also found in lavender, offers sedative effects and may treat skin burns without scarring. It’s a local anesthetic. The terpene Myrcene, also found in the hops— a cousin of the pot plant— also has a sedative effect but can also offer ant-inflammatory and pain relief. The terpene Nerolidol is an anti-fungal, anti-malarial, and has sedative properties. The list goes on and on. However, more research needs to confirm these findings. “Scientific investigation of the therapeutic application of terpenoids in psychiatry has been hampered by methodological concerns, subjective variability of results and a genuine dearth of appropriate randomized controlled studies of high quality,” Russo found in 2011. Terpenes are deemed by the FDA to be “Generally Recognized as Safe”. Where do I find terpenes? 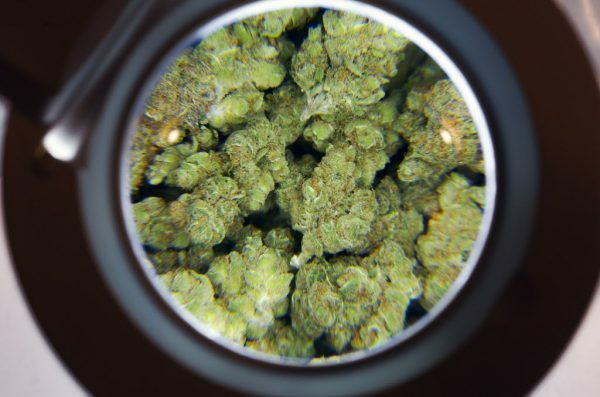 All the chemical com­pounds found in cannabis (cannabinoids and terpenes) are encased within the tiny, crystal-like structures seen on the surface of the bud called trichomes. The amount and quality of terpenes in a plant depends on how well it is grown (Journal of Natural Products, 2016). Where else are terpenes found in nature? Nearly 20,000 terpenoid compounds have been found in all types of plant life. They occur naturally in everything from fruits and vegetables to flowers and trees. What are the most common terpenes in cannabis? More than 1,000 terpenes have been identified in cannabis, but only a handful appear in significant amounts that can be noticed through smell and taste alone. One of the most common terpenes is alpha-pinene, which is also found in pine needles, and another common terpene limonene is also found in lemons. Together, these terpenes give most Kush strains their signature lemony-pine smell and taste. The amount of terpenes and cannabinoids present in a cannabis sample ( its “chemotype”) will likely replace old school folk taxonomies of strain names, followed by indica-sativa-hybrid classification. You can figure which chemotype you prefer by looking up the terpene profiles of your favorite strains, and the ones you hate. For example, Blue Dream is uniquely high in Nerolidol and α-Bisabolol. By contrast, OG Kush is relatively high in pinene and myrcene. Grand Daddy Purple is relatively high in linalool. How do I preserve my terpenes? Properly storing your buds is crucial to keeping them fresh and flavorful for a long time. Light, heat, and low or high humidity will destroy terpenes and thus diminish its flavor profiles. Poor storage is what makes good bud go bad, but thankfully it’s pretty easy to keep them fresh and tasty: don’t use baggies, store in an airtight container in a cool, dark place. And don’t handle the buds too much other than pulling them out from the jar right before you’re ready to use them. Also, most people use an herb grinder to grind their cannabis before putting it in a joint, or pipe. Make sure to use all ground cannabis promptly, as it begins losing its terpenes to the air immediately. Shop at places that put a focus on terpene preservation — it’s your money and medicine you smell evaporating into the air. Appreciating terpenes is the same as savoring a high-quality glass of wine or a cigar. Extracts of cannabis can boost or reduce the amount of terpenes depending on the extraction method. For example, CO2 extraction destroys most terpenes due to the relatively high temperatures involved (Planta Medica, 2017). How do I learn more about terpenes? You can research terpenes on medical literature indexes like PubMed and Google Scholar. A handy guide to the most popular terpenes, what they smell like and potential therapeutic uses comes from Dr. Ethan Russo “Taming THC”. 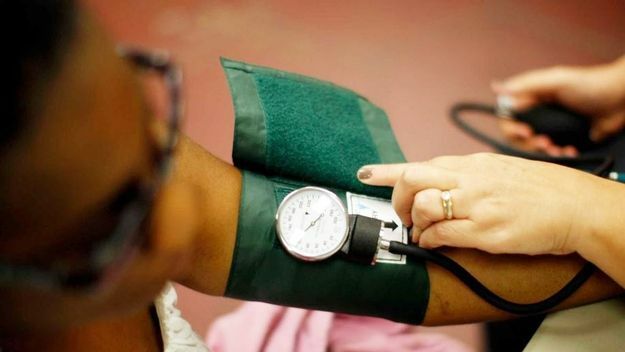 Study: Can Cannabis Increase High Blood Pressure Deaths?